David Jordan became the BBC’s Director, Editorial Policy & Standards, in October 2007. Prior to that, he had been Controller of Editorial Policy since December 2005 and the BBC’s Chief Adviser, Politics for the two previous years. In all these roles David gives pre-broadcast advice. The BBC’s Editorial Guidelines, for which he is responsible, set out the BBC’s approach to impartiality and the conduct of elections and the reporting of opinion polls. On 3rd April 2017, David was also given responsibility for the BBC’s complaints processes. David became a television journalist on London Weekend Television’s Weekend World, in 1984. 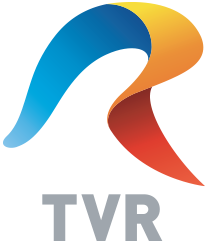 The programme focussed on politics and current affairs. In 1988, he joined the BBC to help set up its flagship political programme, On The Record. 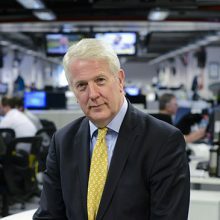 He became its Deputy Editor in 1989 and then Deputy Editor of the Current Affairs flagship Panorama in 1990, where he edited the RTS Best Domestic Documentary two years in a row, before returning to On The Record as Editor in 1992. He remained its Editor until 2003, interrupted only by a period on attachment as the BBC’s Chief Political Adviser. He also founded The Westminster Hour on Radio Four and was the Executive Editor of Radio Four’s The Week in Westminster and the World Service’s People and Politics, as well as creating and editing a range of other political programmes for BBC television and radio. During General Elections in the UK and the UK’s recent EU Referendum, David was a member of the BBC’s election Steering Groups, taking an overview and offering advice in the way the BBC’s election coverage was being handled and ensuring impartiality in its output. David is a member of the Steering Group of the Public Broadcasters’ International, the Executive Board of the Organisation of News Ombudsmen and of the British Committee of the International Press Institute.